Adding additional appeal to the Brighton and Hove area, the local museums provide something different, away from the beachfront - and best of all, most are completely free to visit. Topics covered include the origins of penny slot machines, toys, fishing and natural history, amongst other subject matters. 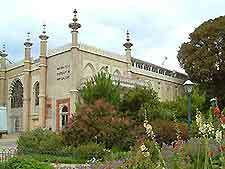 The Brighton Museum and Art Gallery ranks amongst the best and is actually a part of the renowned Royal Pavilion Estate, moving to its present location in 1902 and refurbished in 2002, at the cost of just over £10 million. The main exhibits at the Brighton Museum and Art Gallery are categorised as archaeology, costumes and textiles, decorative arts, film and media, fine art, George IV, local and social history, natural sciences, oral history, the Preston Manor, toys and dolls and world art. Surprisingly endearing is the Brighton Fishing Museum, where the heritage of the local fishing industry is documented. Visitors will learn how in the busy Victorian times saw fishermen scrubbing down their fishing boats every day after the morning's catch, to convert them into pleasure boats for the afternoon. The Brighton Museum and Art Gallery is located in the North Laine area, close to central Victoria Gardens and the Pavilion Theatre. Founded in the late 19th century, this attraction has grown to become one of the most popular of its kind in East Sussex and is home to many important collections of early 20th-century ceramics, furniture, toys, period clothing, artwork, local craftwork and some historic pieces of pottery. The Museum of Penny Slot Machines is of great historical importance and is full of working vintage machines, some of which date back more than 100 years. Close to Brighton Pier and the Churchill Square Shopping Centre, this unusual attraction features fortune-telling machines, strength machines, fruit machines and many more unusual coin-operated games. The Toy and Model Museum is home to reputedly one of the finest collections of toys and models in the world. With more than 10,000 exhibits in total, including large collections of antique toys, many made by famous toy makers, and an impressive model train display, the Toy and Model Museum is understandably a popular tourist attraction for all the family. Other highlights here include tin-plate cars, model ships, dolls and rare dolls-house furniture, Meccano and construction toys, puppets, toy theatres and a gift shop. Located next to the Dyke Road Park and just a short distance west of Preston Park, the Booth Museum of Natural History is home to a wealth of interesting exhibits and displays. Notable onsite attractions include more than half a million specimens, thousands of fossils, rare stuffed animals, plant specimens, insects, butterflies, fish, maps, natural history literature and exhibits dating back more than 300 years, historic books, whale bones and impressive dinosaur skeletons. With a gift shop and many hands-on exhibits, it is the interactive displays that children find most enjoyable. 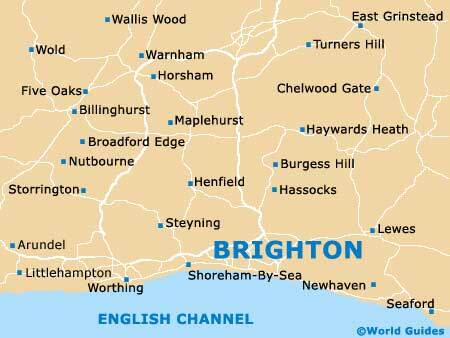 Both the Hove and Preston Park railway stations are close by should you be arriving by train. The Hove Museum and Art Gallery is full of important collections and displays, and stands close to the Hove Central Library. Exhibits include paintings, drawings, modern artwork, a large film collection full of interesting memorabilia and a children's exhibition. There is also a tearoom and a gift shop here, selling themed souvenirs. Of note, the Aldrington Railway Station is nearby. Standing next to the seafront and literally minutes away from the pier, the popular Fishing Museum celebrates the region's important fishing past and related community, which over the years has helped to being much wealth and prosperity to this seaside resort. Whilst exploring the exhibits, look out for the historic fishing boat, the Skylark pleasure boat, and the many interesting related artefacts from the area.